Recently, I was inspired (from the Angels?) to write about them in this week’s newsletter which was about the association of Archangels with Planets, Sun signs, and then obviously with the astrological signs. That’s when I thought to look up the Archangel associated with my own sun sign. This blog post is the result of that data search and my thoughts about it…. 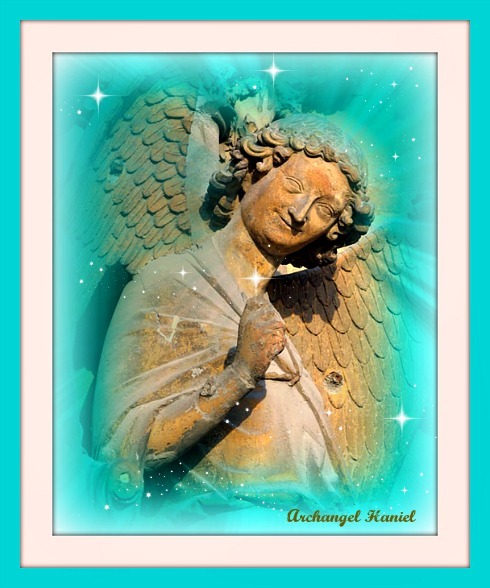 Archangel Haniel is considered to be the Angel of Intuition and clairvoyance and is linked through the planet Venus ruling Taurus and Libra. She also oversees astrology and spiritual healing. She is also, it is said, thought to be the angel of “JOY”. The lantern of joy has the power to bring light into any circumstances, no matter how dark they may be. Haniel is sometimes pictured holding a lantern. Haniel “brings harmony and balance wherever she goes” (Libra is always seeking harmony and balance), she is the Angel that, it is also said, reminds you to find fulfillment from within rather than trying to find happiness from outside yourself. I am a Libra Sun (Haniel rules Venus and therefore the signs Taurus and Libra). I relate and feel a connection (very much so) to Archangel Haniel. Thinking back, its no wonder that my spirit guides assigned the name “Joy” to me decades ago; long before I knew anything about archangels. It makes perfect sense now and that realization gives me chills! I was born with many planets in the Venus-ruled sign of Libra including Venus itself along with my Sun, Moon and Neptune. Is it any wonder that this “joy angel”, who is so often depicted with a smile on her face, is linked so strongly to me with my birth occurring with so many planets in Libra, imprinting my soul with Haniel energy? In my psychic class I mention that everyone has a “joy guide” –this whole “joy guide” thing being something that I was taught by my own psychic trainer from the beginning. My instructor never mentioned the name Haniel, but I was enthralled and enchanted by the idea of a joy guide back then and now pass on the information about having a “joy guide” to my own psychic development students. If you see green or turquoise light around you, Haniel may be nearby, say believers. Looking back at the colors on my website and newsletter now, I do wonder if Haniel may have had her influence when I chose those colors for my web pages. I am her, she is me, we are one. Turquoise is a balanced blend of green and blue. It helps to develop our unique individuality. 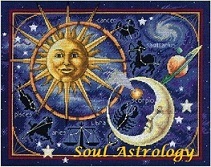 It is the New Age of Aquarius that encourages us to seek spiritual knowledge. Haniel is said to have a special connection to the Moon (me too!) If there was an Archangel associated with ASTROLOGY, it would be her–or at least this is the case based upon the numerous websites and books that I’ve referenced. I feel her smile and joy growing within me today and will carry her on my shoulder today by thinking of her often and asking her to penetrate my life with more of her energy.